The Red Exerciser is an As Seen on TV Ab Machine, but should you invest in one? I've watched this infomercial on tv, but I have never actually used this machine. From the marketing and presentation, I personally would not recommend anyone purchase this product. It is very over-hyped and a little deceptive in its marketing tactics. Promoters boast, it's "the only seated exercise machine you'll ever require". The marketers also use fancy language like, "Our scientific Torsion Max Resistance System is guaranteed to assist you lose weight...". If you have used this ab machine, share your review and tell others what you think. 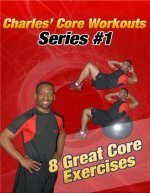 Have you used the Red Exerciser? 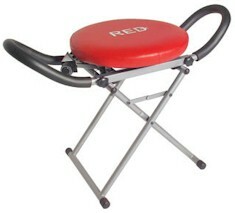 If you have used the Red Exerciser Ab Machine, tell everybody what you think about it. Whatever thoughts you have about the Red Exerciser share them with others so they can have a better idea of how to spend their money?